Tokyo — European Union steel demand is expected to grow by 2.2% this year to 166.6 million mt, driven by "surprisingly robust economic development" in the region, World Steel Association Director General Edwin Basson said Tuesday. "It seems to be driven to some degree by two things; automotive has done very, very well over the last number of quarters -- that seems to be reaching some level of stabilization at the moment," Basson said during a press briefing at worldsteel's annual general assembly in Tokyo. "And in Europe, we have actually a surprisingly strong construction sector in the last number of years. We suspect it is driven to some degree by infrastructure replacement activity in many places. Logically, you would expect this to happen after about 70 years since the previous last infrastructure [investment]," he added. The EU-28's 2018 demand growth is down slightly from the 3.4% increase seen last year, when finished steel consumption totaled 163 million mt, according to worldsteel. For 2019, EU steel demand is expected to rise by 1.7% on the year, reaching 169.4 million mt. The rest of Europe is expected to see steel demand fall by 1.6% to 41.9 million mt this year, after realizing 4.6% growth the year before. 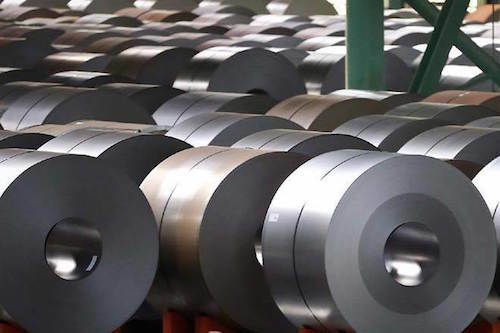 For 2019, those countries are expected to return to demand growth of 1.5%, reaching 42.5 million mt, according to worldsteel. Commonwealth of Independent States steel demand is forecast to grow by 1.4% this year to 54.8 million mt. That's down significantly from the 6.1% year-on-year growth seen in 2017. For 2019, CIS steel demand is expected to increase by just 0.9%, reaching 55.3 million mt, worldsteel said. Saeed G Al Remeithi, CEO of Emirates Steel and chairman of the Worldsteel economics committee, said Germany was the main driver in the EU's overall steel demand growth. "The economy has been good, and as we all know, overall, [Germany's] one of the best economies in the world," Remeithi said, adding that Italy and France also contributed. Worldsteel said the EU's steel demand recovery is expected to continue going forward, though at a reduced pace. The organization said overall business confidence has been high in Europe, and near-term headwinds, such as ongoing Brexit negotiations, have done little to dampen that sentiment, Basson said. "If anything, Brexit probably has delayed a few [investment] decisions that will be taken," he said.